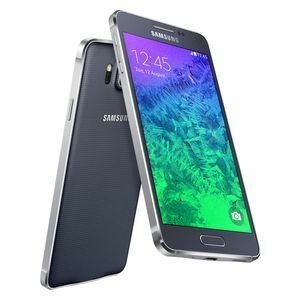 The Galaxy Alpha has a 4.7" 720p Super AMOLED display, with 320 ppi pixel density. It's powered by Samsung's own Eynos octacore processor, a combined quad 1.8GHz and quad 1.3GHz. It has 2GB of RAM and 32GB internal storage. Other features include a fingerprint sensor, 12MP rear camera, 2.1MP front camera, WI-Fi 802.11ac and is backed by a 1860mAh battery.